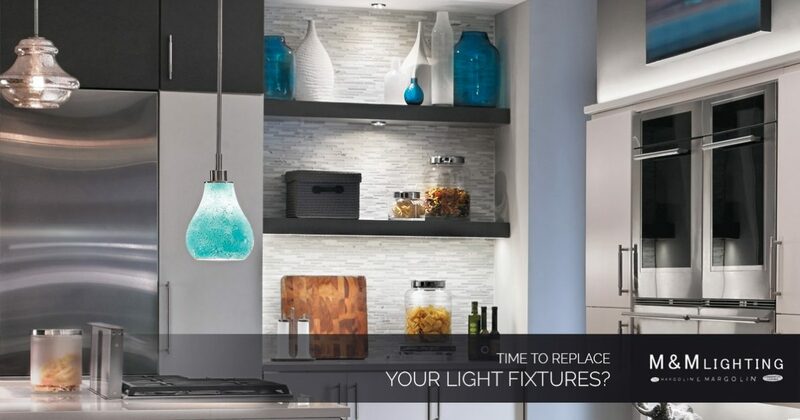 Interior Lights Houston: Time to Replace Your Fixtures? When it comes to the light fixtures in your home, you may not give them much thought unless they stop working or have some other kind of malfunction. While it is necessary to replace broken lights in your home, there are other circumstances that might also warrant shopping for new lighting. The design experts at M&M Lighting are here to help you replace any fixture in your home for any reason, and today, we’ll take a look at a few situations that might have you looking for new fixtures. Are you shopping for new home lighting? Stop by our lighting showroom in Houston today to speak with one of our sales consultants, or give us a call at 713-469-3002 now! You might not have considered replacing the light fixtures in your home, but there are times when it makes sense to do so. Below, we’ll cover four of the most common reasons our customers look to change things up. Making the decision to sell your home and move into a new one can be an exciting time, and there are many of factors to consider before you move. In addition to deciding on a real estate agent and a listing price, you’ll also want to consider whether or not there are any chandeliers, sconces, or other types of fixtures that need to be replaced before listing your home. Some of our customers love their fixtures so much that they want to take them with them when they move. For those who choose to leave the old fixtures, shopping for new ones can be a fun way of making the home their own when they move in. Do you still have the Hollywood strip light in your master bathroom? How about old, unsightly drop-ceiling lighting in your kitchen? If so, it might be time for an update. 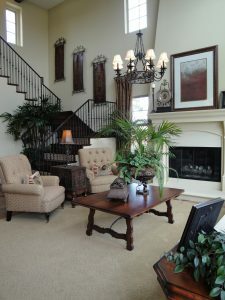 One of the best and most affordable ways to breathe new life into a room is to replace the light fixtures. Older fixtures may not illuminate the room as well as newer, updated pieces might. Additionally, if you have renovated your kitchen, living room, bathroom, or other space in recent years but you neglected to replace the fixture for one reason or another, the lighting may no longer suit the decor. If you have lived in your home for a significant amount of time, you likely know how the various activities you complete in a room can change over time. For example, when you and your spouse first moved into your home, you may not have spent a lot of time whipping up family meals in the kitchen. If your family has grown since then, your kitchen may now be the command center and gathering space. Replacing older fixtures that don’t contribute well to creating layers of ambient, task, and accent lighting is a great way to better illuminate the room to suit your needs. Finally, if you are making plans to redecorate, it’s very important to make sure your current lighting fixtures complement your new color palette and decor. If you don’t, the result could be a room that lacks a cohesive sense of style. For example, if you would like to turn your master bathroom into a natural oasis for relaxation, the builder-grade brass vanity light might not lend itself well to the design of the space. If you’ve decided to take on the task of finally finishing your basement, you’ll have the benefit of a blank slate in terms of lighting options, and if you need help with what fixtures might work best in the space, let our lighting experts help! Need Quality Light Fixtures in Houston? When the time comes to replace the light fixtures in your home, the experienced and knowledgeable lighting experts at M&M Lighting are here for you! Whether you’re shopping for new bathroom lighting, the right chandelier for your dining room, or another type of light fixture, you can count on our team to have the latest styles and designs that you’re looking for. Stop by our Houston showroom today to get started, or browse our online catalog now. We look forward to speaking with you!